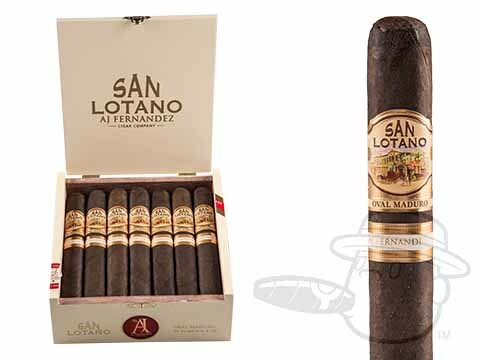 Cloaked in a deliciously dark and toothy Connecticut Broadleaf wrapper, the San Lotano Oval Broadleaf has arrived to send the maduro-loving masses into sensory overload. Sporting the aforementioned tasty wrapper leaf over select Nicaraguan and Honduran tobaccos along with a “secret” filler component that the good folks at Tabacalera Fernandez refuse to reveal, the Oval Broadleaf is your ticket to smooth-yet-heavy tones of earth, creamy cocoa, spicy pepper, and more with the robust medium-full body to match. Simply put, it’s a cigar that master A.J. Fernandez was born to create. Grab yours here and save a nice chunk of change while you’re at it.